[Beginning of the original post:] Website accessibility is important. Website accessibility is something that receives significant attention in the legal space. But digital accessibility is not just about websites, and the law is taking notice. This post highlights cases about kiosk accessibility. I use the term “kiosk” broadly to include tablets and any piece of technology offering services, products, and information. Who will use that technology? People — and that means disabled people. And that means the technology has to be usable by everyone, including people who cannot see a screen, hear a video, or use a mouse. How do you make sure your kiosk is accessible? 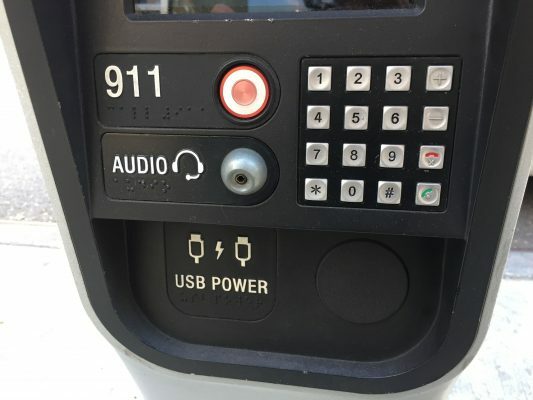 This is not a technical post, but one thing is certain: if there is no audio output and available input method for those who can’t see a screen, the kiosk is off limits to a blind person. If it has video but no captions, the kiosk is unavailable to a deaf person. And if controls are out of reach range, wheelchair users cannot get to the information. The revised Section 508 guidelines (federal procurement regulations) specifically identify kiosks as covered information and communication technology (ICT). The Americans with Disabilities Act’s non-discrimination and effective communication provisions are broad enough to embrace kiosk accessibility. State procurement and anti-discrimination laws are part of the strong foundation supporting kiosk accessibility in the United States. Around the globe accessibility policies support kiosk accessibility, and the United Nations Convention on the Rights of Persons with Disabilities (UNCRPD) lay the foundation for international access. Smart cities aren’t smart enough if public kiosks cannot be used by everyone. Here are some recent happenings in the kiosk accessibility legal space in the U.S. Whether you are in #HealthTech, #MedTech, #FinTech, #EdTech or any sort of tech, put accessibility on your to do list. Accessibility is about people and accessibility is a civil right. Kiosks without access may as well have a “do not use this machine” sign on them. And that is what the law calls discrimination. Accessibility must be a core value in health care technology. Without it, there is no privacy or confidentiality because disabled people are forced to ask for help to do things that could be done independently with accessibility features. In July, 2016, Massachusetts Attorney General Maura Healy, along with the National Federation of the Blind announced a settlement with Pursuant Health, Inc. to make that company’s self-service health care kiosks accessible to blind consumers. These kiosks offer services including vision assessments, blood pressure screening, weight and BMI assessments, and pain management advice. One of the most basic civil rights principles is that governments cannot provide services and information if disabled people will be locked out because of the lack of access. As more public services and information move to kiosks, more attention must be paid to kiosk accessibility in the government sector. Here are two examples where the law has gotten involved. Read the legal complaint about the SSA kiosks. Public money must not be spent on technology unless all members of the public can use it — including disabled people. We were once again reminded of this important principle on January 17, 2017 when a settlement was announced about the accessibility of New York City’s public info kiosks. Read the NYC accessible kiosk press release. Read the accessible kiosk settlement agreement. I had the privilege to spend time in Australia last year, and fell in love with the country and made and strengthened friendships with people in the accessibility and disability communities. Advocates, corporate and government champions, and skilled consultants are working hard to ensure accessibility in various sectors and across a host of technology. Special shout out to the Digital Gap Initiative for useful policy links below. But I was disappointed to encounter a completely inaccessible kiosk in the heart of the Sydney (picture above) — a kiosk that runs contrary to a significant number of forward-thinking policies in my new favorite place to visit. Sydney has a “smart city” strategy and a big commitment to a digital city that is “green, global, and connected” by 2030. And Sydney has a Disability Action Plan that gives the nod an inclusive digital strategy. If these commitments do not translate into actual accessibility on the ground, disabled people are left out. Implementation of international, national, state, and local policies is a crucial step in digital inclusion for disabled people. Plain and simple, governments should not be procuring and/or installing anything that all members of the public cannot use. In higher education, as in most other sectors, schools increasingly turn to kiosks to provide information, convenience, and services to students. Accessibility agreements in the legal space have been all encompassing when mandating accessibility and accessible procurement policies. These agreements, both private and through the US Department of Education, include kiosks in the definition of electronic and information technology (EIT), and serve as a reminder that a system-wide policy is needed to avoid inaccessible purchases in the higher education setting. Early examples of these far reaching settlements include 2014 settlement with University of Montana and the agreement with Penn State as far back as 2011. I read many higher education policies on line about accessible technologies generally, web technologies specifically. I recommend putting kiosks into the specific category to avoid the purchase of any technology falling through the cracks! In January, 2018 the National Federation of the Blind announced a partnership with a major manufacturer of table-top tablets increasingly used in restaurants for ordering, payment and more. The partnership will “produce a text-to-speech capability for the PrestoPrime EMV System that will be incorporated into all current and future Presto tablets, including those used in Applebee’s Grill + Bar restaurants nationwide.” The settlement agreement outlining the details shares that the parties used Structured Negotiation to reach agreement. Download the settlement agreement from the case announcement. Lawyers were involved, but the announcement was the result of collaboration among NFB, the San Francisco LightHouse for the Blind and Visually Impaired, and several blind people. A similar agreement on accessible restaurant technology was reached with the Eatsa restaurant chain earlier in 2017. The basic right to shop independently without having to disclose confidential financial information or rely on sighted assistance has long been the subject of legal advocacy. This includes shopping via kiosks, as a 2014 settlement with Redbox movie kiosks demonstrates. In August of that year Disability Rights Advocates and the San Francisco Lighthouse for the Blind announced a settlement with Redbox in which the company agreed to make all its movie rental kiosks in California accessible to people with disabilities. Read the Redbox accessibility press release. The settlement also included a 1.2 million dollar fund to be used to compensate blind customers prevented from using Redbox kiosks due to lack of access. And the California settlement was followed by a national settlement that brought accessible talking kiosks to the rest of the country. Talking ATMs have shown since 1999 that financial kiosks must — and can be — accessible. In the United States the Americans with Disabilities Act has long required that ATMs talk, and advocates made that law a reality with significant numbers of Structured Negotiations and some lawsuits in the late 1990’s and throughout the 2000s. But financial technology is global, and accessibility must be global too. Last month came news of the first Talking ATMs in the United Arab Emirates. The machines spoke in Arabic and English, and the Braille was in two languages too. But the devices were manufactured by Diebold – one of the early Talking ATM manufacturers in the United States. What took so long for Talking ATMs to get to the UAE? That country ratified the UN Convention on the Rights of People with Disabilities in 2008. Accessible technology is embedded in the Convention. Manufacturers should not be shipping financial technology (#FinTech) without access. The UNCRPD must be implemented to ensure technology remains available to disabled people. [Curious about the history of Talking ATMs? Visit the Talking ATM topic page on this website for more than 60 posts about this bedrock of accessible financial industry technology. It’s ironic. In 2013 I wrote a post bemoaning the molasses-like regulations that gave airlines too much time to install accessible kiosks. Read “It’s hard to be Optimistic about the New DOT Web and Kiosk Regulations.” But even with all the time alotted them some airlines did not meet initial deadlines, and thus the DOT’s settlement announcement. Accessible airline kiosks have been on the market for years. Disabled people travel. Let’s make accessible airline kiosks a reality everywhere. Disabled people need access to all technology, including kiosks. Access to information and services on kiosks is a civil right. That means that kiosks have to be designed so people can use them if they are blind, deaf, use a wheelchair, or have other disabilities. Disabled people and their lawyers are using the law to make sure kiosks work for everyone. There have been recent cases about health care kiosks and new technology that lets people pay for their meals at the table. Accessible kiosks guarantee privacy and confidentiality. Government agencies that buy kiosks should only buy accessible ones so everyone can use them. Back to the top of this post.